Nadi-based SHAZCOM Technology will be part of the many industry players that will participate in the 2017 HOTEC Tradeshow at the Sheraton Fiji Resort on Denarau Island, Nadi, next week. The company was established on April 2011. “We believe we have the right technology products and solutions for the hospitality industry in Fiji which is booming rapidly and HOTEC has come as a very good platform where most of the hotel owners and decision makers will visit and we can showcase and demo our products to them at first hand,” he said. “We specialise in CCTV Systems, PBX Phone Systems, GPS Vehicle Tracking, Burglar Alarms, Biometric Systems, Structured Cabling, Satellite and IPTV Solutions, Hotel Card Locks with Power Saver Switches, Guest Wi-Fi Hotspot Solutions and Solar Power Solutions. Mr Chandra said they are very confident with their products and solutions for the hospitality industry. “We are certain our technology solutions will be very beneficial to hotels, apartments and resorts. We definitely want to showcase our products to a greater audience and HOTEC seems to be the right platform,” he said. 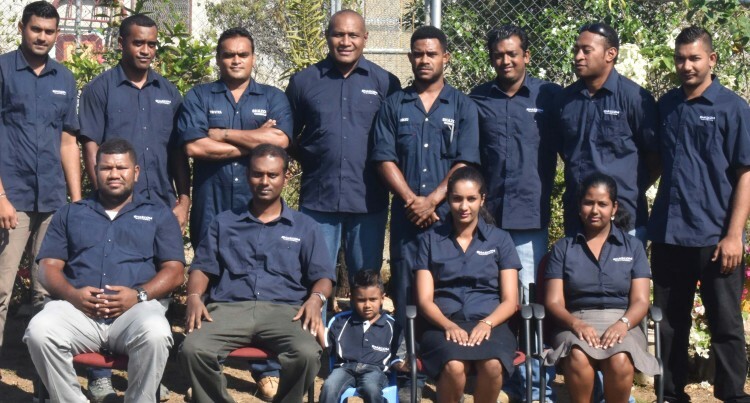 The Company was founded in 2011 by Mr Chandra who graduated with a Bachelor of Engineering Technology degree from the University of the South Pacific in 2008. He has worked his way up the ladder despite all odds and challenges. Currently, we are a group of young engineers and technicians with majority of the staff less than 30 years old, married and sole bread winners for their families. Currently the company has 11 permanent staff including Mr Chandra.